This entry was posted in Mazu by Dharma fool. Bookmark the permalink. What is meant by a manifestation? 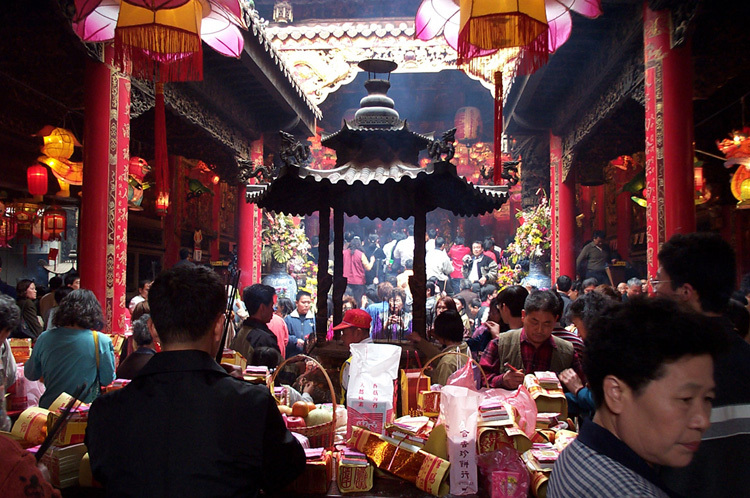 Chinese deities, but Mazu is believed to be much closer akin to Guanyin. In practice I don’t think people distinguish much between them at all. The most certainly are not rivals. There are no texts (or none that I know of) associated with Mazu worship, but one version of her biography has it that at the time of Lin Moniang (Mazu’s) conception her mother was visited by Guanyin, in a vision or dream, who granted her wish for a daughter. As young girl, Lin Moniang worshiped the Bodhisattva and showed early evidence of great spiritual gifts. But I am not sure if that means she is an emanation or an incarnation! She has a separate identity from Guanyin, but also shares a kinship, and bears many of the attributes of mercy and compassion of Guanyin. I would say that she was an ’emanation’ then. If there was worship, in that case, it would be worship of Guanyin ‘through’ Mazu.